Recreational and performance group promoting Danish, Finnish, Icelandic, Swedish and Norwegian music and dance in Washington D.C., USA. Includes meetings and events calendar, and repertoire. Reviews and Comments for Scandia D.C.
A Scandinavian folk dance group dedicated to the enjoyment of Norwegian and Swedish couple turning dances. Offers classes twice a month in Bethesda, and Saturday dances in various locations throughout metro DC. Online version of Dance Magazine known for its Young Dancer section, reviews, dance news, and features on Dancers, Choreographers, Dance Companies, Teachers, technique, health, dance pictures, and the history of dance. Featuring Dance Directory, Sterns Performing Arts Directory, and the Dance Magazine College Guide. Dance clubs, Whos Who in Swing Dance, dance dictionary, swing dance research and historic association, dance instruction and lesson plans. Database of dance organizations, where they dance, the performers at the dances, and the dance event schedules. It covers mostly Contra Dance, with some English Country, Scottish, Square, and Swing dance. Walnut Creek, CA - Offering classes in modern dance, ballet, ballroom, dance conditioning, dance for athletes, creative movement, dance therapy, jazz, tap, hip hop, breakdance, choreography, improvisation, yoga. Information on Irish traditional dance. Includes 'The Dance Journal,' on online journal of dance in Ireland, and an archive section with historical material relating to dance. Dance center of Jerusalem, established three representative Folk dance companies, a unique children dance company, a youth dance company, an adult dance company, along with 2 Jazz dance companies. Edited in Paris, Dance magazine includes features, interviews and photos of dance stars and choreographers, reviews, commentary and a calendar of major European ballet and modern dance productions by European journalists and dance critics. Provides dance education and has performance opportunities in ballet, jazz, modern dance, creative dance, classical ballet, contemporary dance, as well as dance instruction, choreography and movement. Music and dance band. Information about their instruments, performances, dance classes, dance history, dance terms, and some instructions for dances. Dance educator Liliana Attar, trained at the National School of Dance in Buenos Aires, provides K-12 dance programs including tango. Spanish, Latin, and American dance instruction and performing dance company. Covers dance classes, workshops and performatnce dates. Notes on teaching dance technique, as well as articles on folk dance including 'Advice for Americans', offered by a country dance caller. Also offers a shareware dance organiser program. Renaissance and 17th century English country dance. Includes the Letter of Dance newsletter page, facsimiles and transcriptions of primary sources, Dels Dance Book, cheat sheets, articles, and links. Ballroom and dance sport portal. Features dance directories, online shopping for music, videos, and apparel, expert advice, discussion and chat, news and event information, and other dance related resources. South Australian dance group researches and performs traditional dance and story of the Ngarrindjeri people by dance and totem. [May not work in all browsers]. Software and video resources for dance educators. Graham technique, Labanotation CD-ROMs and books on teaching contemporary dance. Scottish dance education and performance company, specialising in swing dance and other 20th century social dance styles. Offers ballroom and Latin dance instruction specializing in Salsa dance lessons and wedding day dance choreography. Bloomfield, New Jersey. Instruction in Latin and Ballroom dance, plus Casino Rueda. Host of National Latin Dance competitions, parties and other major dance events in Trinidad and Tobago. Professional dancers employing dance, ballet, modern dance, jazz dance and theater dance for entertainment at weddings, business meetings, auditions, companies, shows and modeling events. Instruction in Latin and Ballroom Dance, plus Casino Rueda. Host of National Latin Dance competitions, parties and other major dance events in Trinidad and Tobago (Caribbean). Belly Dance web guide. Lists about 12 web sites related to Oriental dance. If the business hours of Scandia D.C. in may vary on holidays like Valentine’s Day, Washington’s Birthday, St. Patrick’s Day, Easter, Easter eve and Mother’s day. We display standard opening hours and price ranges in our profile site. 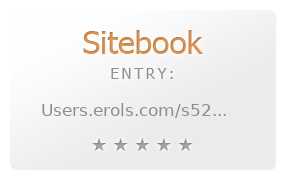 We recommend to check out users.erols.com/s526/ for further information. You can also search for Alternatives for users.erols.com/s526/ on our Review Site Sitebook.org All trademarks are the property of their respective owners. If we should delete this entry, please send us a short E-Mail.